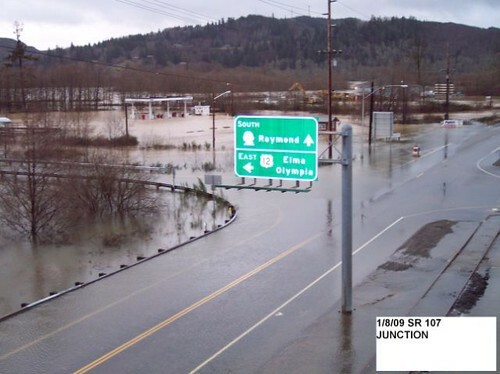 SR 107 - Montesano Flooding #2, originally uploaded by Washington State Dept of Transportation. In front of the Chevron Station in Monte. Raymond is where the folks live.